I used to be a Nokia stand for about 10 years. I do remember trying Motorola at one point as well. Never got along with the latter. Nokia just offered simple easy to use system. I even owned the very 1st Nokia flip phone, which my husband sent abroad without my permission. Not happy at all about that as I loved that phone. Just think how much that would have been worth now. Then just over a year ago my friend suggested I get a Blackberry. In fact two friends suggested I get one. To simplify the transition I got a pearl as I then thought the width of the curve was too much for me. My only complaint was a few technical issues with the operating system. My messages were being deleted left right and centre. The timer would not disappear and T-Mobile UK call centres were fobbing me off big time. Thankfully their store staff were more help and problem sorted itself with an upgrade of the operating software. Not forgetting a hard reset I think its called when you take the battery out whilst the device is still on. 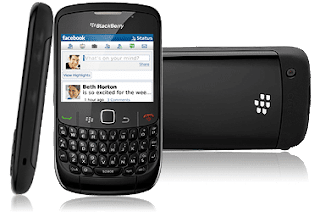 From time to time I check out the Crackberry website which I discovered almost immediately after becoming part of the BB alumni. There is so much on there for the BB addict plus you get to read about the latest phones and rumours of such. I was eyeing up one device currently called Onyx but the new Blackberry Curve 8520 will do me just fine. The track ball is replaced with a track pad like what you would get on a laptop. That feature alone caught my eye. Of course there are many many more features that the Research in Motion team have thoughtfully packed into the curve. Just check out the websites. I am waiting patiently as my upgrade was due end of June beginning of July. I called T-Mobile and was told that the new curve should be available end of September. Lets hope they do a competitive deal. It is already available on Vodafone and Orange. I think I ought to buy shares in Research in Motion and their Blackberry brand. Wonder if that will get me a seat on the board?! I keep being told to get a blackberry, but I tried messing about with my friends touchscreen, and I wanted to throw it out of the window! What is the reception like when using it? It makes me laugh that when I see phone adverts it tells you about everything else except for the talk time of the phone! oooh I dont do touch screens. You try one without the touch screen. its such a very useful phone and personal organiser. there are some good videos on youtube aswell. cant complain about reception at all.